IBPS Recruitment 2018 - Apply Online for CRP PO/ MT-VIII Notification (4252 Vacancies) Across India. 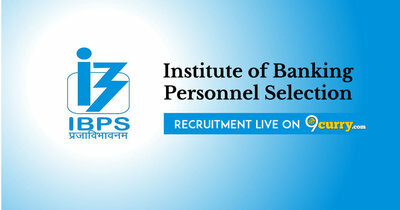 Online Applications are invited by IBPS - Institute of Banking Personnel Selection from 14 Aug 2018 to 04 Sep 2018 for 4252 vacancies. IBPS PO Pre Exam Training Admit Card 2018: IBPS - Institute of Banking Personnel Selection has issued the Admit Card on 27 Sep 2018 for the exam. On the basis of Exam/ Interview. Eligible candidates may apply online at IBPS's website (direct link is given below) from 14 Aug 2018 to 04 Sep 2018. Go to "CRP PO MT" & Select the desired post.